Follow HBCC on Facebook. simply press the logo above. With origins going back to 1928, Hawick and Border Car Club provide a range of motor sport activities across the border region. Autotest, navigational, classic and stage rallies form the core events. If you would like to join the club download an Application Form, now. 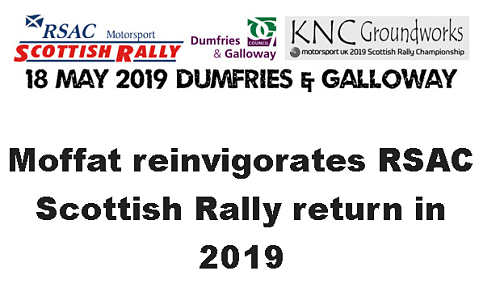 Euan Thorburn and Paul Beaton secured their third straight victory, on this years Border Counties Rally, and first on the 2019 KNC Groundworks Scottish Championship. Heavy overnight snow made the stages and surrounding roads a bit slippy for the early starters. However incoming steady rain melted the snow covered forest stages though vigilance was still to be respected, with one or two sliding off in the early runs. Six stages made up the fun for the day, before returning to Jedburgh for prizegiving.